I used to have very limiting views on plastic surgery; I believed treatments were reserved for the rich and famous. It seemed superficial to be overly concerned with your appearance and aging was just a inevitable passage in life. In recent years, cosmetic procedures have become more common place in my life. My dad, who pays $5 to get his hair cut splurged on laser treatments for his rum nose and my mom routinely goes for chemical peels. Even within my own circle of friends, we are compare notes on the procedures we endure to keep us looking our best and to take proper care of our skin. 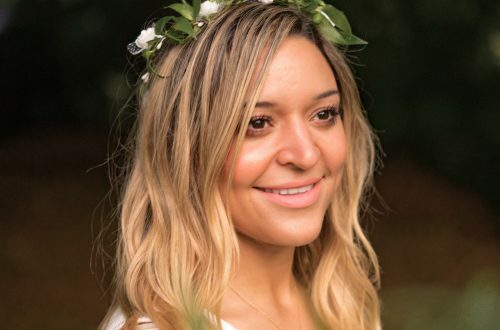 Before I dive right into it, I want to preface this article by saying, I am not an advocate for drastically altering your appearance, however I do think it is important to be comfortable in your own skin. If investing in a treatment here or there will help you be your most confident self, then why not take the leap. As women we need to stop judging each other for our decisions. If it makes you happy why should anyone else have a say in our decisions. As we get older, self care tends to be a constant topic of conversation. At first it was facials, then it was microdermabrasion and now chemical peels seem to be on the rise. There are so many treatments available, it is hard to decide which one is right for you and where to invest. 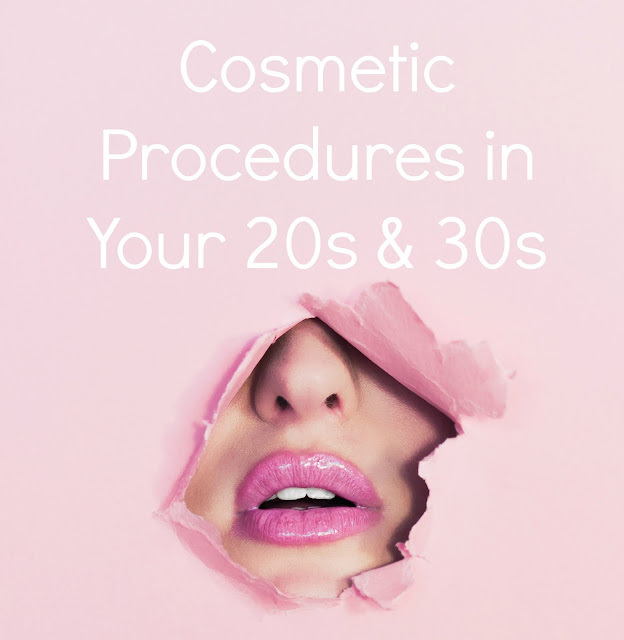 My friend Montana is a cosmetic nurse, so I bombarded her with all of my burning questions regarding cosmetic procedures specifically for women in their 20s and 30s. Botox addresses the muscle movement (like between eyebrows, forehead etc) while filler addresses lost volume ( such as under the eyes, cheeks, lips etc) so choosing which you need depends on the area of concern. Botox lasts on average 3-4 months before it wears off. 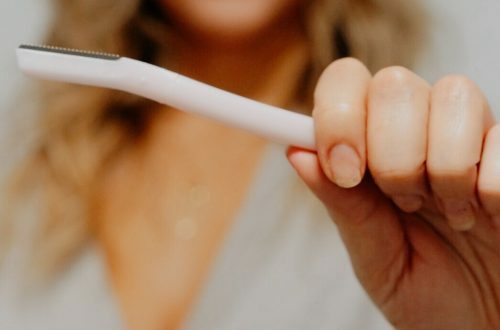 When it wears off your muscle movement will return to its ‘pre botoxed’ state- however over time and doing it regularly you will start to somewhat lose the muscle memory- meaning your muscles will become weaker, causing less of a crease in the skin. 1. Dynamic wrinkle – meaning the wrinkle is formed when the muscle is contracted – like squinting and giving yourself crows feet lines. This is normal and occurs at all ages. If when you relax the face and the wrinkle goes away, it is only formed by the ‘dynamic’ movement of contracting the muscle. 2. Static wrinkle – when the wrinkle is there without you contracting the muscle. This is what happens as we age, and they will only get worse without treatment. I prefer hyaluronic acid (as it is reversible if you don’t like it) compared to more ‘implant’ like injectables. Juvederm by Allergan is hyaluronic acid, and probably the most common. It is an injectable gel, so it gives instant results. 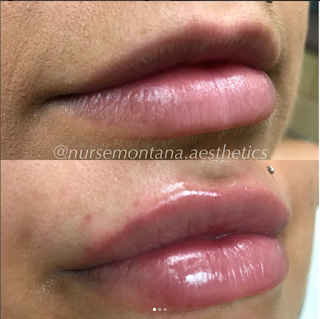 There are different Juvederm products with different longevity- the lips for instance last the shortest because we move our mouths so much it breaks down faster, where an area like cheeks with a thicker more structured filler last on average 1-2 years. Fillers are ideal for deep wrinkles in the skin, that require volume, while Botox relaxes the muscle. When choosing which to get, how much you need, etc, I suggest going for a consultation first. This should be free of charge! Get all the information, expectations, and pricing laid out so you can book when it’s appropriate for you! People often forget bruising and swelling will occur after treatment, it is ideal to not be booked around an event. Your provider should be able to show you before and afters of their work, and also educate you on what you need to do pre injection appointment. Things to avoid before treatment: alcohol, blood thinners, and omega3s to avoid bruising. Wearing sunglasses to avoid squinting, and proper glasses or contacts. Eye creams will somewhat help, but once the wrinkle is there anything applied topically to the skin is only going to make a mild difference. Wearing sunscreen is also very important as UV exposure breaks down our own collagen. Exfoliation techniques such as peels, microdermabrasion, and laser resurfacing can also help with treating wrinkles & fine lines, but in reality, using proper skincare will often give you the same results as facials and dermabrasion. I do often refer client for peels as it helps to slough a lot of skin and breakdown pigment. It is best to start treating wrinkles with Botox before they become too deep and prominent, otherwise it will take quite a few regular sessions of Botox before the wrinkle will settle out. The age to start Botox depends on the client, I’ve seen some 20 year olds with prominent static wrinkles already formed. When to start depends on how much the lines bother you, commitment to regular treatments, and also budget! I would say my average client starts doing regular Botox in their 40’s but in reality they needed it before then, so ideal to start late 20’s early 30’s. In regards to skincare- just because it’s expensive, doesn’t mean it works!! We highly suggest pharmaceutical grade skincare lines ( those found in doctors offices) as opposed to cosmeceutical (at counters like the bay). Go for something that has to be clinically proven to work. In your 30’s signs of sun damage will start to show. Our skin is like an elephant, it never forgets! So if you were bad about sunscreen in your teens, it may present itself now, even if you are very diligent with protecting it. Best way to combat sun damage is through peels, skincare, and photo-facials like IPL (intense pulsed light). IPL is my favourite treatment because I used to suffer from very red cheeks (rosacea). I has a series of IPL’s to breakdown those vessels, and now maintain my results a few times a year. IPL will treat reds and browns, think tiny veins by our noses, or brown sun spots, patches, freckles. Also in our 30’s is a good time to start botox for fine lines, and resurfacing treatments to promote collagen (such as microneedling, Fractora, C02). Collagen production starts to decline in our 30’s. Lets Talk about Cool sculpting, Liposonix and other Fat Reducing Surgeries. Who is the best candidates for these and how do they work? We LOVE our cool-sculpting machine. I myself have had about 8 cycles done 🙂 It is the real deal with the most clinical studies, papers, backing it. The company behind it is Zeltiq, and thats all they do is cool-sculpting fat reduction called cryolipolysis (cryo being cold, lipo being fat, lysis meaning breakdown). They were recently acquired by Allergan, the same company that makes trademarked Botox and Juvederm fillers. They are the real deal. I personally wouldn’t bother spending money on other fat reduction treatments because I know how well cool-sculpting works. Yes it can be expensive depending on how much you need, but it is permanent. To be a candidate for Cool-sculpting you should be within 30 pounds of your ideal body weight. It is meant for trouble areas that are resistant to diet and exercise such as the tummy, inner thighs, upper arms, etc. Most clinics will do a free consultation to give you a quote. I have a lot of clients who come in and spend hundreds (even thousands) getting rid of sun damage, and then spend all summer getting tan, and that has always blown me away! Protecting your investment is huge! I get so many clients also that come in and say “don’t make me look like Kylie” I think there’s a huge misconception about injectables and clients think they will make them look unnatural. Most of the time this is because they know someone who went overboard or they focus on the ‘botched celebrities’ in magazines. Injectables CAN look natural, all it takes is a soft approach. You can always add more, so why not make small changes that look subtle. Meet with an injector ahead of time and develop a plan together. Another new and interesting product out by Allergan is Belkyra (or Kybella as it is known in the United States). It is deoxycholic acid (found in our bodies to breakdown fat). This is approved for use under the chin, and I’ve seen ‘off label’ uses for other areas such as armpit fat! This is also permanent fat reduction, meaning if your parents or family members have a double chin- there’s a hereditary factor you could too! It is nice to know there are options. Another fun thing is the ‘Brilliant Distinctions’, a loyalty program from Allergan where you earn points for dollars spent on Juvederm, Botox, Latisse, and Belkyra. Essentially you make an online account and we input how much money you spend at the clinic, those then become points on your account, and you can print out coupons for money off injectables! If you have any questions about cosmetic procedures, check out Montana’s Instagram account, or send her a direct message. You can also browse through and see some before and after pictures of treatments. Montana is located in Kelowna at the Lakeshore Vein & Aesthetics Clinic. Hopefully this answers some of your cosmetic procedure questions. Let me know in the comments below if there is anything else you wished I touched on. I'm only in my twenties, but I keep forgetting that I should be thinking about these things already! I should really start doing more to prevent that sun damage from showing up. Thanks for the ideas! I love to read about these procedures. I've honestly only ever thought about going through with a lip filler procedure but I'm not sure that I would actually do it. I do need to get into a better skin care routine though and make sure I'm actually putting on sunscreen regularly. I have been wanting to get fillers for a while but my husband is so against it I love the before and after picture you posted and the cool sculpting sounds amazing I wish you were local! My upper lip is way smaller than my bottom lip so I have always thought about it. I didn't realize how common it is for people to have it done. Once I started talking to my friends about it, quite a few people I know had taken the plunge. It doesn't hurt to just go for a consult. I am sure you could book a consult locally. There are so many types of fillers now, I really like Juvederm because it is something that is naturally occurring in your body. The more research I do, the more I learn towards getting procedures for maintenance versus modification. It's good to know all of this important facts! Now I understand them better! Thats a nice information. I enjoyed it while reading. Great, everything I wanted to know in one post. Thanks for sharing. intelligently about. I am very happy that I found this in my hunt for something regarding this.